MOOSIC, PA - The Durham Bulls defeated the Scranton/Wilkes-Barre RailRiders 3-0 Thursday night at PNC Field, taking a 2-1 series lead in the best-of-five Governors' Cup Finals. 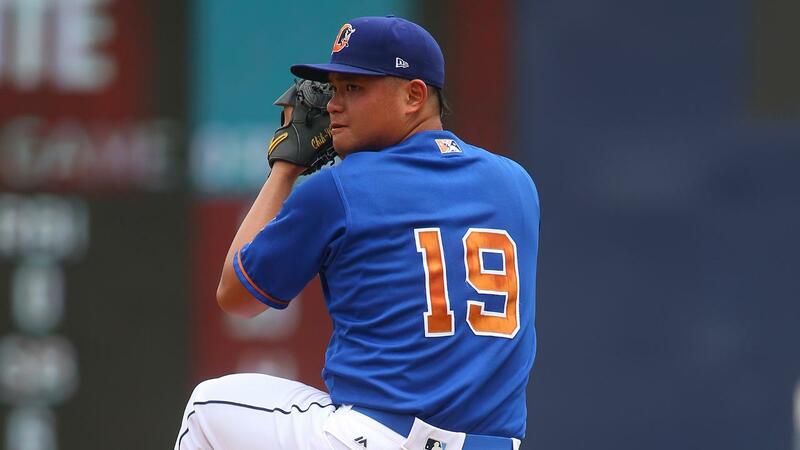 Highlighting the Durham victory was the performance of starting pitcher Chih-Wei Hu, who earned the victory by tossing seven shutout innings. The right-hander scattered six hits, struck out six and didn't walk a batter, leading the Bulls to within one victory of the franchise's second straight Governors' Cup title, and sixth overall. Durham took an early lead, as Kean Wong and Rob Refsnyder knocked back-to-back singles to open the game. Austin Meadows then grounded into a fielder's choice, scoring Wong for a 1-0 lead. In the second the Bulls added to their lead when Brandon Snyder cracked a solo homer to center field, and Jake Cronenworth's double later in the frame scored Jason Coats for a 3-0 advantage. The RailRiders threatened in the fifth, putting two runners aboard with one out before Hu induced an inning-ending double play. An inning later, Mike Ford was thrown out at home plate to end the frame on a relay from Joe McCarthy in left field to Cronenworth at shortstop to Mac James at home. Seven Bulls finished with one hit apiece on the evening, and Kyle Bird earned the two-inning save by tossing the eighth and ninth frames. Mike King took the loss for the RailRiders, allowing three runs on seven hits over 6.2 innings. The Bulls and RailRiders meet in Game 4 on Friday at 6:35 p.m. Durham has yet to name a starter, and RHP Ryan Bollinger will make the start for Scranton/WB at PNC Field.